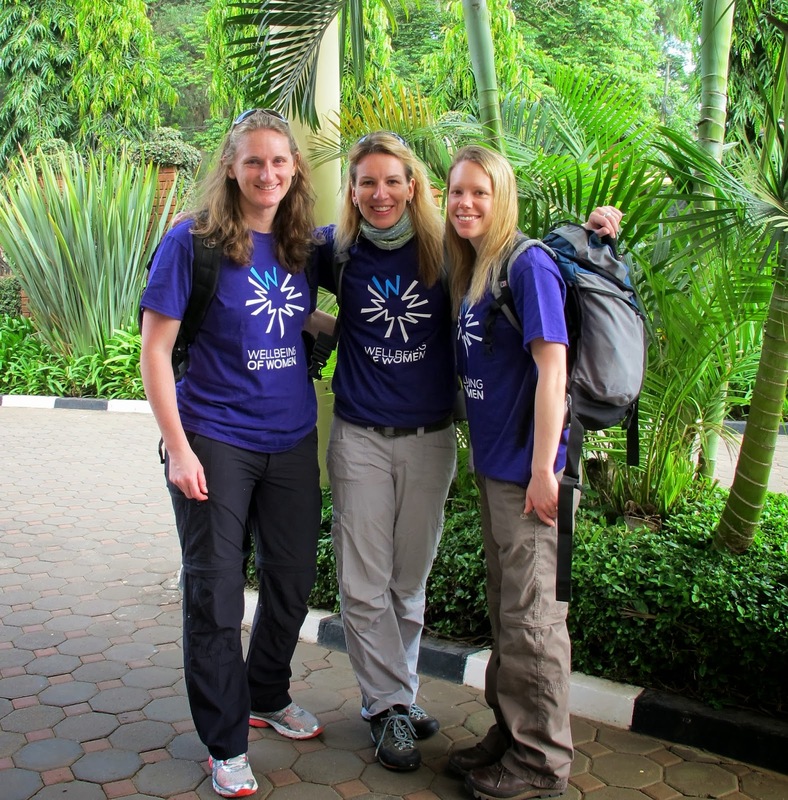 100% Summit Success - Kilimanjaro Climb for Wellbeing of Women & Worlds Highest DJ-gig...! As the dulcet tones and disco beat of the Bee Gee’s track, ‘You Should Be Dancing’ wafted from the 5895m summit of Kilimanjaro, Africa’s highest peak, I couldn’t help but smile at the words of this iconic Bee Gees song… “You should be dancing. Yeah....” And dancing we were… only we were dancing about 5900m higher than normal with significantly less available oxygen to breathe! The Music and Mountains Kilimanjaro climbing team were tearing up the summit crater with hypoxic-induced dance moves that would have cleared the dance floor in any top club while our guides kicked up the volcanic dust and got into the groove doing an African rendition of Flashdance… DJ Lora was on the decks in an outfit significantly less glam than her usual ballgown… dusty Scarpa boots replaced her usual Louboutins and down replaced diamantes…. But this didn’t stop our internationally acclaimed DJ from working her music-magic as ‘You Should Be Dancing’ was mixed into DJ Lora’s latest chart release from Toolroom Records, “Chinchilla Disco” and the scene was set for our team to complete the ultimate challenge of DJing and raving on the summit of Kilimanjaro in support for our charity cause, Wellbeing of Women. 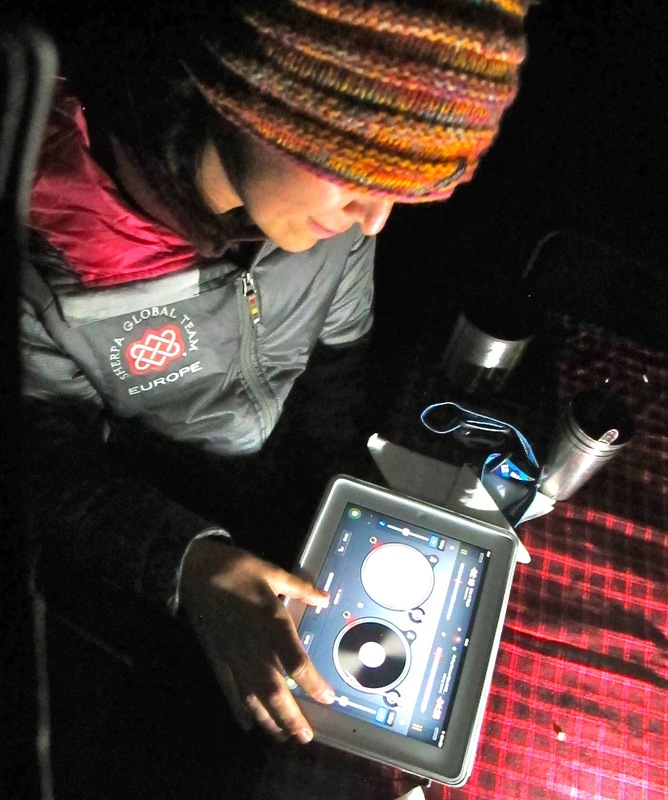 Despite our cold fingers, desperate gasps of rarefied air, throbbing heads, and rosy cheeks, we were laughing as the dawn broke over the summit crater in a spectacular sunrise and we celebrated our combined successes. A ‘journey’ that had started over a year ago with a crazy-idea to DJ on the summit of Kilimanjaro led to these happy (tired!) faces, new friendships and memories to last a lifetime. Additionally, we succeeded in our challenge to raise nearly 25,000 GBP for Wellbeing of Women – money that will go toward improving the health of women and babies. Standing there (or should I say ‘grooving there) on the summit I realized that climbing Kilimanjaro is no different from any other major challenge we want to overcome in our lives. Whether we want to start a new job, mend a broken relationship or taking on a new challenge, we’re all climbing a mountain of sorts. These experiences require us to be stronger than we think we are, endure more than we think we can, and become more than we dreamed possible. On behalf of the Music and Mountains Team, I’d like to extend a massive thank you to everyone who made this trip possible and supported us in our charity fundraising efforts. Thank you to Sherpa Adventure Gear for providing us with the fantastic kit that kept us warm and stylish on the mountain. The primaloft Annapurna jacket is an amazing piece of must-have kit and we have some soft-shell converts! It was fantastic to have Sherpa branded ‘team kit’ to bring us all together and create our sense of identity on the mountain. Thank you to Thalgo UK for the wonderful goodie-bag of beauty products which kept us feeling fabulous throughout both the run-up to the expedition and on the expedition itself. I’m not sure whether there’s ever been a more glamorous, pampered team on Kilimanjaro with our tents looking more like spas..! We especially loved the SPF 50 sun-cream which kept us all protected and moisturised on the mountain. An added bonus was the leg mist which kept us refreshed...! Thank you to The Jerky Group for fostering and nurturing a taste for beef jerky and biltong. Your very generous donation of beef jerky fed us and fuelled us up to the summit and provided a constant source of protein and snacking pleasure for all times of the day - breakfast, lunch and dinner along the trail and to the summit. HUGE thumbs up for the Honey bbq and also the Peppered Steak flavours... mouth-wateringly delicious and I am still having massive cravings! Special thank you’s go out to our climb patrons Sir Ian Botham, Elizabeth Hurley, Piers Morgan, Eve Pollard MBE and Sir Victor Blank. It was wonderful knowing that we had your support every step of the way…! Thank you for helping to promote our cause. Thanks also to David English CBE, for his part in setting the world record for the worlds highest DJ gig. David made a very kind donation to Wellbeing of Women during our charity fundraising event to have the soulful Bee Gees track 'You Should be Dancing" played on the summit. An absolute legend, David has not only managed the Bee Gees but he has also done press for the Rolling Stones, Tom Jones and Dionne Warwick. He also founded the Bunbury Charity XI and the Bunbury English School’s Cricket Festival, which discovered many current England players. Thank you also to Naynesh Desai and the entire team at Wellbeing of Women and BLJ and DawBell who worked tirelessly over the past few months to make our climb such a success and who helped us to achieve our £25,000 fundraising target. Thank you also for all of your encouraging words and your support. It's through the passion that you put into your work for Wellbeing of Women that we were driven to put one foot in front of the other. We are incredibly happy that our efforts have played a small part in contributing to providing funding and research into many issues which affect and impact millions women and babies around the globe including reproductive or gynecological health problems. 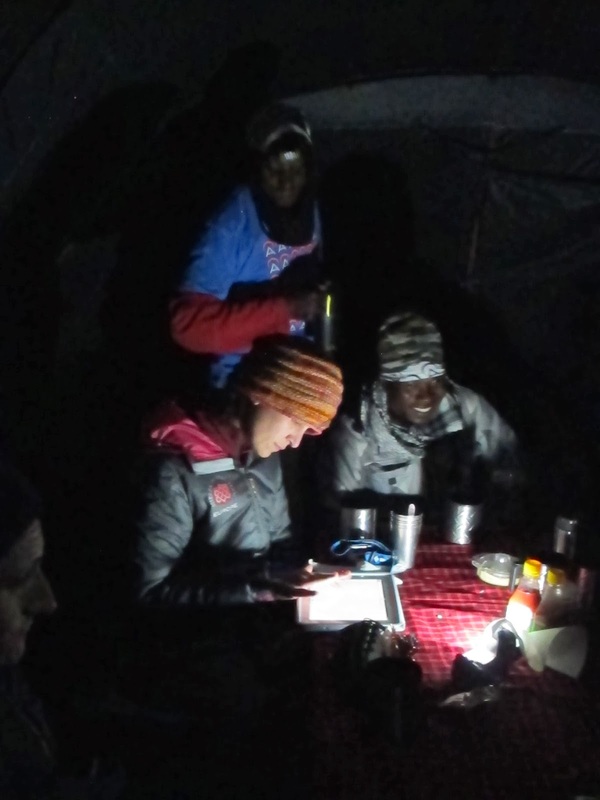 Thank you to our guide Chad Peele from Alpenglow Expeditions and the entire Alpenglow Expeditions team for supporting us and arranging the logistics along with our fabulous, patient local Tanzanian team of guides, porters, and cooks. When you received the call saying you'd been assigned to climb with a team of 9 women you must have known it could have been a nightmare or a dream come true! Your patience, sense of humour and leadership certainly contributed to the success of our climb and positive experiences throughout. We certainly could not have done it without you. And finally, last but certainly not least, thank you to the amazing team of women – Anna G, Anna V, Alicia, Chloe, Deborah, Helena, Laura, Kirsten… (and of course Chad), for the wonderful trip memories; your humor, honesty, passions, laughter and enthusiasm through thick and thin (air) will never be forgotten and I can't wait to share another mountain with you again soon.